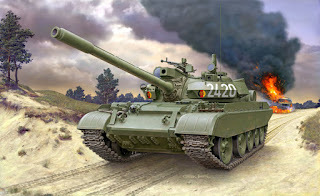 The T-55 is the most produced tank in world history with about 85.000 vehicles build until to today. The T-55 is the culmination of tank development between 1945 and 1958. It's a sort of 'cold war T-34'. Reliable, cheap and produced in large numbers. 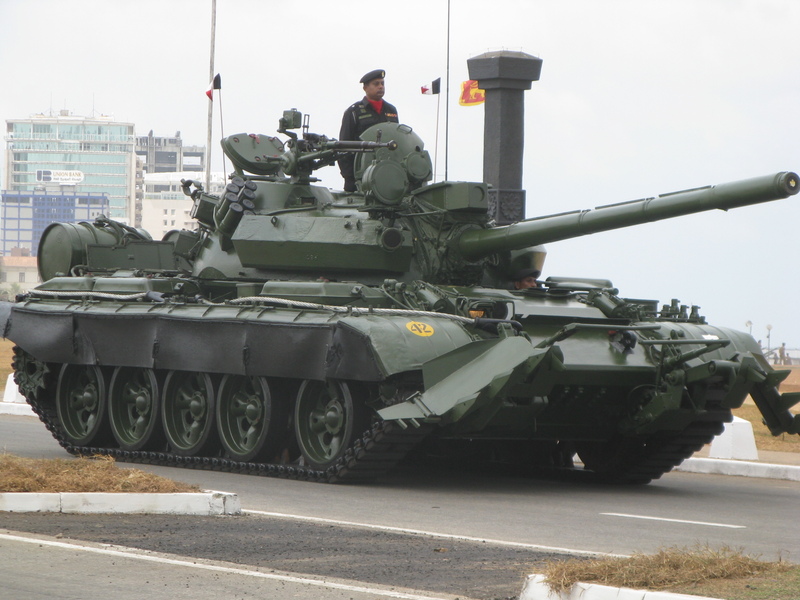 The T-55 is still in use in many countries in the world. It's principal successor is the T-72. The basic design has been updated and modified, the Finish Army even as 6 T-55 with a British Marksman turret installed om to top as an anti-aircraft weapon, that's just totally crazy! 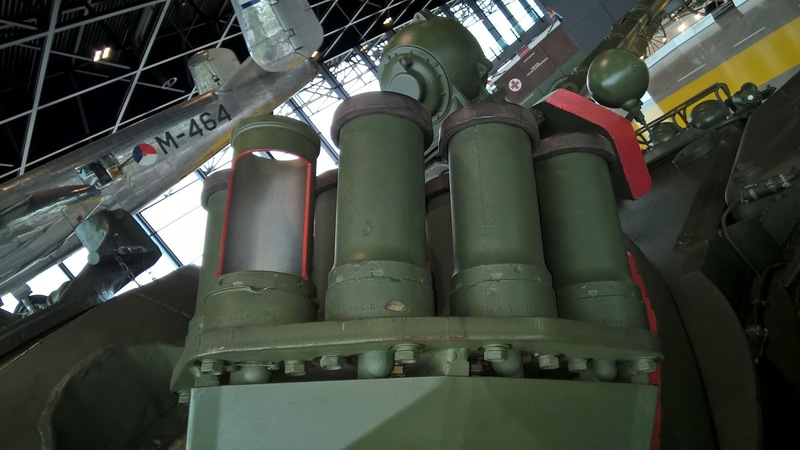 Follow the link to tanks-encyclopedia or wikipedia to read more. The T-55AM2B is a modernized East-German design. 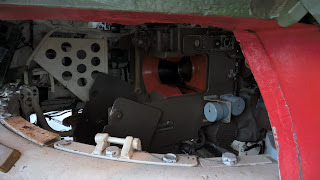 On prime portal there is a 'Walk around' series of photo's of the T-55AM2B. 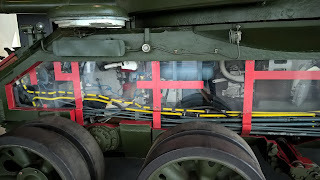 Several photo's my by myself of tank with pieces cut away. 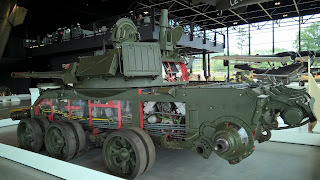 This particular vehicle was used at a tank school. It usually resides at the Panzer Museum in Munster (not the famous Münster, that is an entirely different place) but these photo's where taken in Soesterberg where it was on display in 2017. 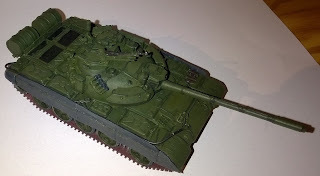 In 1/72 there was not a lot of choice for modelers wanting to build a T-55. PST from Belarus has several models but these can be hard to come by. In 2016 Revell released a model of the 'basic' T-55A (Kit. No. 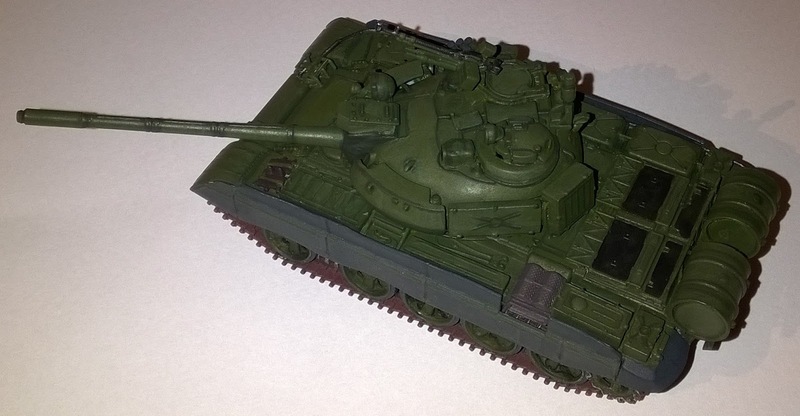 03304) and last year (2017) a model of the T-55 AM2B (Kit. No. 03306). This is a very, very good model. It is classified as 'skill level 4' and has somewhat fewer parts compared to most other 1/72 tanks from Revell. You can build 2 Russian, a German or a Hungarian version. All country versions are different from each other, the largest differences being the turret roof and infrared camera. There are two points that require some extra attention. 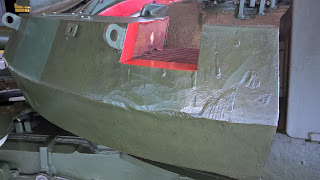 The first point is the attachment of the tow cable on the front. You have to bend the tow cable in place. The plastic is quite thin so I hoped I could bend it after the cable was attached to the tank and the glue would hold in place. Unfortunately that doesn't work as the part is to stiff so it snapped. heating the part a bit in hot water and pre-bend it is necessary. The cable is carefully molded and looks and fits perfect otherwise. This is the first plastic cable I used since i can remember. The German/Hungarian style infrared camera is a polygon shaped piece and consists out of a upper and lower half. There is a noticeable gap after gluing which needs to be filled. This gap is in a recess that is a genuine part of the camera so filling in and sanding away extra filler can be difficult. The Russian version doesn't have this issue as it has a different type of camera. 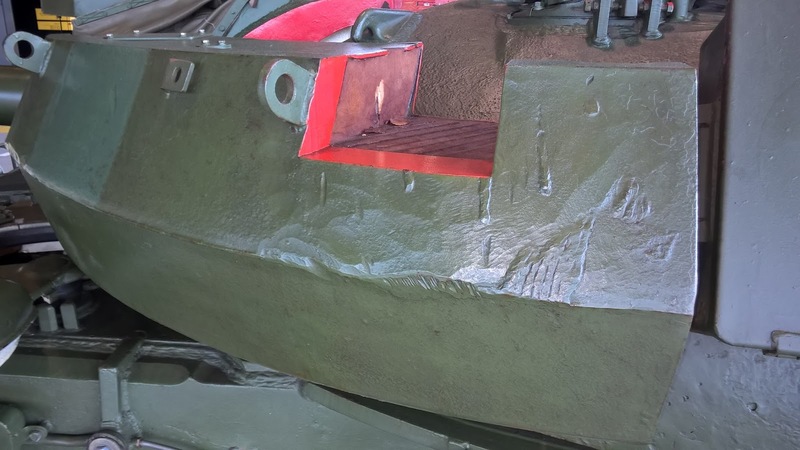 The handle bars on the square box in the turret are a bit co thick so the perfectionist might wants to replace these with metal wire. These are things to take into consideration when building. The kit itself is simple perfect. The rubber side skirts are thinned out, the wheels look fantastic, the tracks fit perfect on this one. 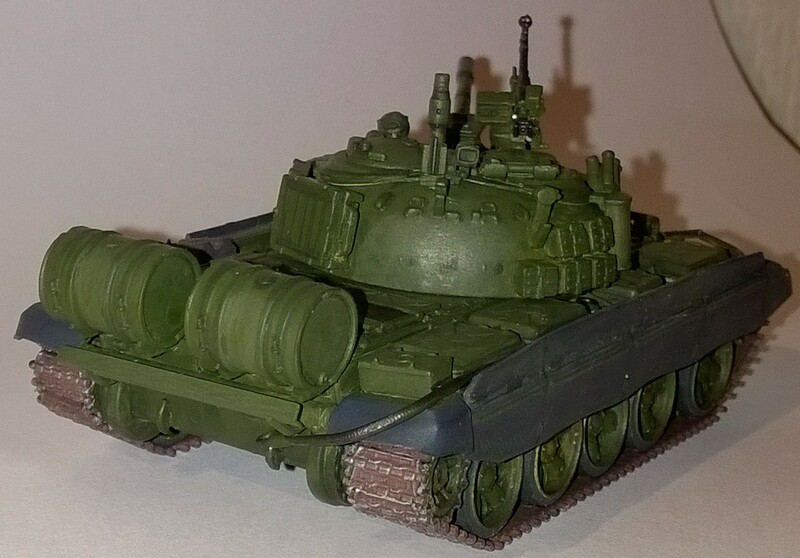 (I also build the T-55A version and there I had very minor fit issue which must be due to myself but I'm not sure what went wrong so do pay attention here). The characteristic track sag is beautifully molded as are the fuel tanks, infrared equipment, wind sensor, applique armor and all other parts. The rear fuel drums are molded in two halves and one half is already molded on the rear of the tank. I recommend first building these drums and then attaching the rear of the hull. This is pretty much a perfect model kit. It just doesn't get much better detail and fit wise in a plastic kit. Only the previously mentioned handle bars are a bit thick but they can't be made thinner in plastic without a big change of breaking when the part is released from the mold. The assembly is easy, the part count not to large so apart from little children everyone should be able to make something nice out of this kit.